This 4 bedroom villa is located in Sosua and sleeps 2 people. It has WiFi, parking nearby and air conditioning. A gorgeous villa with four bedrooms connected to the main house is just perfect for a nice vacation with your family and children. 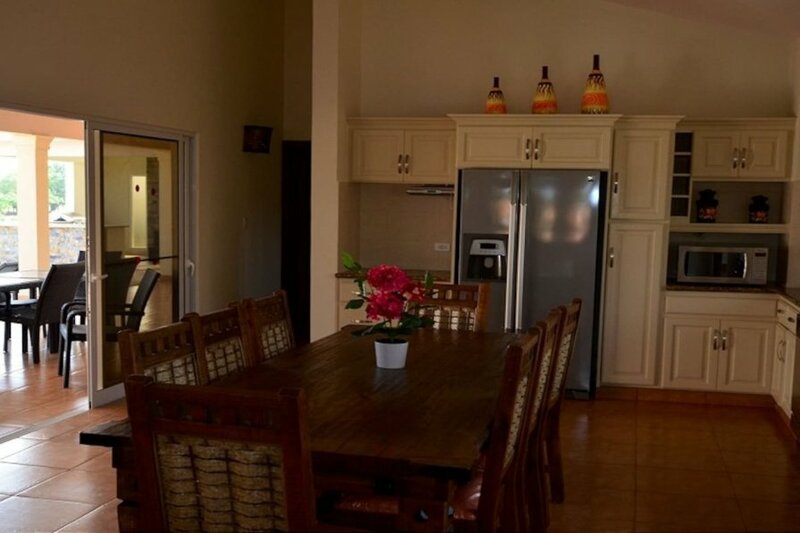 A gorgeous villa with four bedrooms connected to the main house is just perfect for a nice vacation with your family and children. Well-equipped white kitchen made from the best pieces of mahogany tree. Each bedroom has its own cable TV, air conditioner and king size beds! A sizeable terrace with a BBQ grill to show your best cooking skills on while watching the azure ocean of Dominican Republic!